Summer is here. Books&Ideas is off on holiday. We will be back with new publications starting August 29th. In the meantime, here is a selection of essays, interviews and reviews published over the past year. According to Nancy Fraser, the renewal of socialism requires a conflation of activism and political theory; indeed, emancipation can only exist on the basis of equal participation in all spheres of life, and can only be understood in terms of social struggles, which today appear in multiple forms. Where does the value of contemporary art begin in a globalized art market? Taking as a point of departure the comparison between influential sociological studies exploring prices and markets, this two-part essay examines the profound changes that the contemporary art market has experienced before, during and after the Great Recession. Scenes of lynching, beheadings, corpses… Although easily accessible on the Internet, images of violence are often occulted in the French media. Why are some images shown while others are kept out of circulation? Are some forms of violence unfit to be seen? Andrés G. Freijomil, "Michel de Certeau. 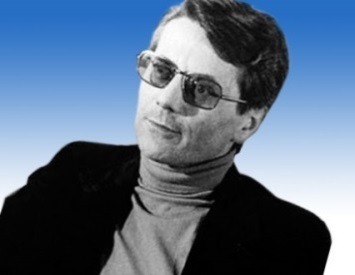 Michel de Certeau (1925-1986), whose works became classics in the humanities and social sciences due to his relentless effort to decompartmentalize knowledge, produced a unique oeuvre, in which his Christian faith inspired without limiting his historical and anthropological insights into contemporary culture. A great historian of the English working class, a major intellectual figure in debates surrounding Marxism in the years 1960-1970, and an anti-nuclear activist who initiated an environmentalist critique of capitalism—such were the many faces of Edward Palmer Thompson, whose work deeply permeates the different social sciences to this day. For the past five years, the population of Syria has been undergoing severe repression at the hands of a regime implementing a policy of mass destruction, forcing over half of all Syrians to leave their homes, and seriously threatening the future of a country that has had the strength drained out of it. What if historians and cartoonists teamed up with each other? For such a partnership to work, one might choose to illustrate “great History.” Or, better yet, one can find inspiration in graphic investigations guided by a reasoning and based on new sources and original questions. In a lively interview, cyberfeminist Angela Washko explains how “digi-feminism” is currently challenging cybersexism and existing conditions of the web; she discusses her past and current video projects and how to fight harassment against cyberactivist on the web. And if you ask her what the political aspect of her work is, she will say “all of it is political”. Can fresh air come from young democracies like Taiwan and civic-minded hacktivists like Audrey Tang? This interview shows that both help renew democratic practices in providing sophisticated collaborative, participatory and deliberative tools. The Islamic State (IS) was not born miraculously in the summer of 2014. Its origins lie in the intertwined histories of Iraq and Syria over the past twenty years. Loulouwa Al Rachid and Matthieu Rey untangle IS’s complex heritage, bequeathed to it both by Baathist authoritarianism and the United States’ intervention in Iraq. 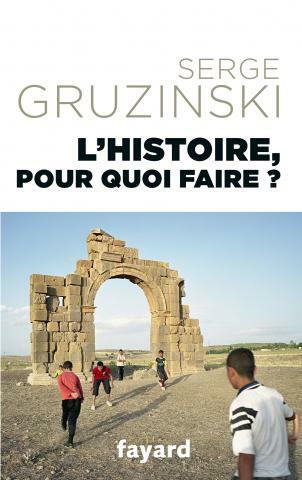 “What is the use of history?”, Serge Gruzinski answers the question with a plea for global history as an antidote to methodological nationalism and a self-complacent Eurocentrism. Global history offers another perspective on globalisation. The Syrian revolution is orphan because the repressive, authoritarian and increasingly ferocious regime of Bashar al-Assad is still in place. According to Ziad Majed, the lack of response from the international community is largely responsible for this state of affairs. In Christophe Guilluy’s view, there are two Frances: the urban France of towns and cities, where opportunities are considerable, and the peripheral France of villages, where populations feel ignored and abandoned by public policy. This contrast has caused a lot of ink to flow but is highly debatable and no doubt more ideological than scientific.